Two adorable ginger boys came into care in July 2018 at 10 days old with their Mum and litter mates. Mr Rufus & Mr Stanley were adopted by Jemima in September when they were 9 weeks old. Jemima was smitten these kittens as soon as she met them and is thoroughly enjoying having them home. They are full of antics and life is clearly tiring when you're only young! Here are Mr Rufus & Mr Stanley on their favourite chair. 23/01/19 - We wonder if the boys new year resolutions are to help more around the home, not sure if they've quite got the hang of what the ironing board is meant for. 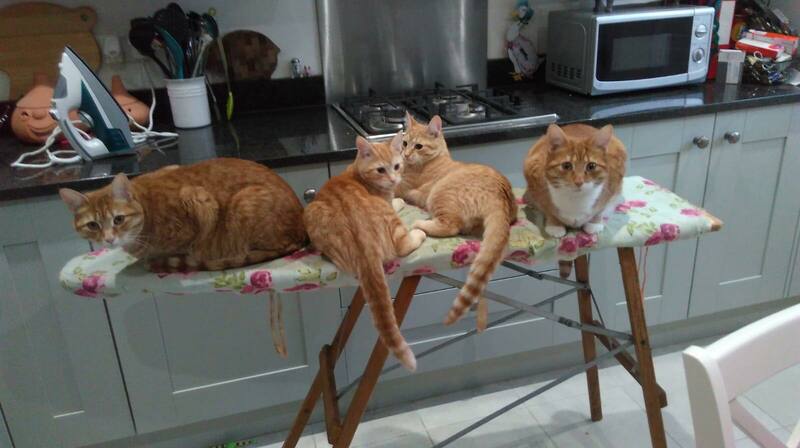 It certainly makes a handy vantage point for all four of Jemima's beautiful ginger boys. Mr Boris & Sir Humphrey are with the youngsters on their newly found bed. 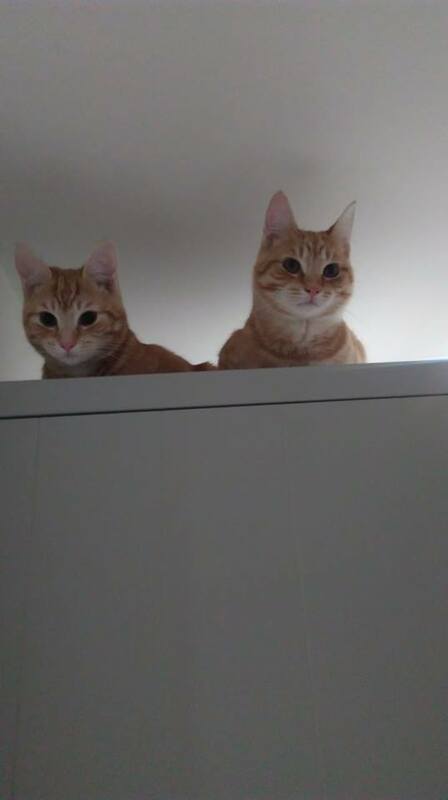 From the ironing board to the top of the fridge! Today, 28/02/19, Mr Rufus and Stanley discover another good spot in the kitchen, they're real homebodies.